Everything clever has been thought of before. We must try to think it again. 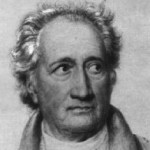 Comments on: "Johann Wolfgang von Goethe Quotes: Everything clever has been thought of before. We must try to think it..."